Piano Lessons in Tyne and Wear - Fun, Friendly, Affordable Tuition! We currently have over 140 Students taking piano lessons each week at Sweet Symphony – it’s a very popular instrument and we have 7 piano teachers to cope with the demand! Our lessons include both theory and practical elements – very important in learning a musical instrument. We encourage students to take part in music exams when they reach the suitable standard. Exams are not compulsory but are a good way to gauge progress. Sweet Symphony is a registered Trinity College exam centre, so all of our exams are held right here in the Sweet Symphony Studio. Lessons are available for both children and adults, from absolute beginners through to advanced players. Younger children may benefit from starting off with our Preschool Piano Lessons, which are suitable from age 3. Do I need to have a piano before I start lessons? No – we understand that buying a piano can be a bit of an expensive purchase and you may wish to try out a few lessons before you commit to buying one. We would, however, advise that you will get the most out of your lessons once you have an instrument at home on which to practise. Our teachers can advise you on what to look for in an instrument, and we can also recommend some local music retailers to help you with your purchase. From 3 – 103! Our Preschool Piano Lessons are perfect for young preschool Students aged 3 and upwards. Once children have started school they’re generally ready for our regular piano lessons. 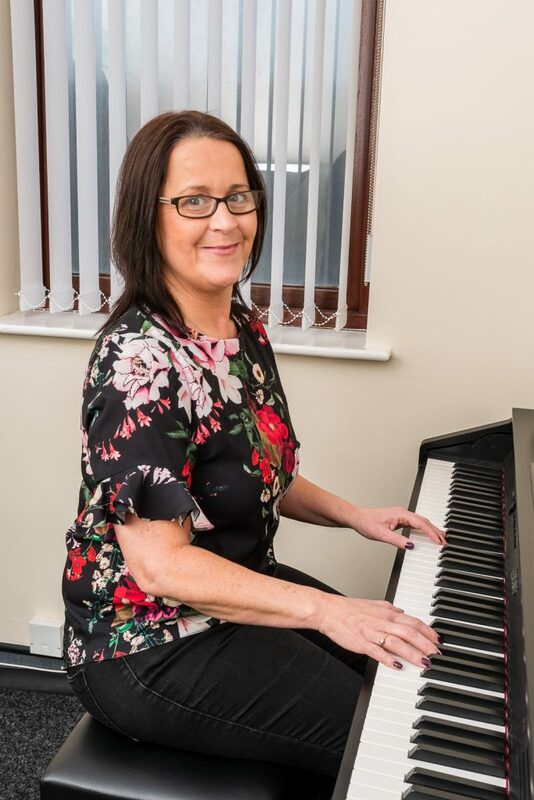 We also have adult piano lessons available throughout the week, so whatever your age we’ll be sure to be able to find a suitable lesson space for you. I’m an adult but I’ve never played before – can you teach me? Our lessons are tailored to go at your own pace, so you’ll never feel under pressure or overwhelmed. How much piano practice should I do each week? This answer depends entirely on you and your own circumstances. We realise that everyone has extremely busy lives these days and fitting in practice can be difficult. The best solution is to try and get into a practice routine and aim for little and often – you’ll get more out of regular 10 minute practice sessions than trying to cram an hour and a half the night before your lesson! How much are your piano lessons? We offer both 1:1 tuition and group lessons. Our 1:1 lessons are £14.00 and our group lessons are £10.50. For more information on our lesson formats and prices, please click here.